This wonderful hardback book tells the story of Hammer Films through previously unseen treasures from the company’s archive, published by Titan Books. Beginning with the company’s incorporation documents from 1934, and ending with promotional material from the 2011 release The Resident, The Hammer Vault presents original correspondence, lobby cards, script pages and rare photographs alongside a commentary from the people who made some of the company’s greatest films. There have been a number of these so called ‘Vault’ publications of late; covering a whole range of topics, but what make this one for me, is that it doesn’t feel like a gimmick. All the pervious publication provided replica pieces of paper, such as letters, tickets and other such things, all crammed into a box along with small reference book about the related subject. Whereas The Hammer Vault displays all things nicely presented within the book itself, without the worry of losing or damaging one of myriad of separate bits of paper. 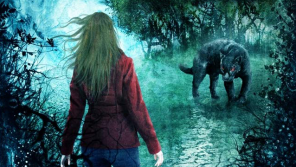 This is an adult publication for an adult audience, who don’t need gimmicks such as a fake bit of paper, but want to immerse themselves in the world of Hammer and the official Hammer Films historian; Marcus Hearn has managed to do this for the reader. 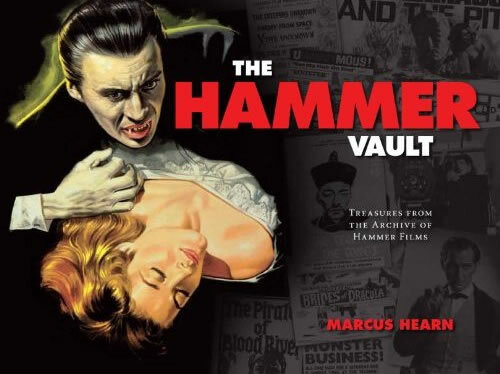 Marcus Hearn has done a number of publications about Hammer Film and has filled this book with all his knowledge of the subject into its pages. Giving each film within Hammer’s catalogue space, even the lesser known films, with wonderful images, unseen photographs and documents; such as letter to and from those involved within the productions. One letter is from special effects supervisor, Les Bowie to Roy Skeggs, who on a personal, note use to play cricket with my Dad at Shenley Cricket Club and sent flowers to my Mum on my birth. Anyway, this is wonderful publication, not just for lover of all things Hammer, but for any lover of film.